As a landlord, you know how important the bottom line is to your business. That is why you are alert to measures you can use to increase your revenues and cut costs. Let us help you with both of those objectives. Our company exists to help your company make more money and to relieve you of some of the many burdens a landlord carries. One of the ways we can help is by offering you a free property assessment in Crown Point, IN. This is simple and easy for you to do. Just fill out the form with basic information, and we get right back to you to gather details and make arrangements to do the assessment. Our trained professionals let you know exactly how much your property is worth. This is essential in establishing prices for rental units, as well as for other business purposes, such as taxes. If you have not had an assessment done recently, then you may be surprised to learn what your property is worth. We believe information is power, so you can use this information to make better business decisions. Another consideration is how much you rent your properties for. Whether you own a single-family home, duplex, condo, or apartment to let, it is important to know the fair market value. This is what other landlords are getting for similar properties in the same area. We provide you with useful information, as well as a wide variety of other services that make being a landlord easier and more profitable. Our approach is simple. We provide professional, trustworthy property management services in NW Indiana, from tenant screening to leasing to maintenance to evictions. Whether you are an investor with several rental homes or an unintentional landlord looking to rent out your home in NW Indiana- we have you covered. With real property management services in NW Indiana, you can count on our local knowledge and expertise, supported by systems and processes developed over the past 25 years. Join the thousands of rental home owners and investors who trust Real Property Management across the country to manage their rental property. Whether you own one rental home or several investment properties, our staff is prepared to meet the demands of property management, 24 hours a day. We know what works, what rents, and how to get more out of your rental property – all at a competitive price. Many homeowners live under the impression that renting out their property is like earning free money. Of course, nothing comes for free in this world. Managing a rental property can feel like a full-time job. Responding to tenant issues and rental inquiries, staying organized, and scheduling maintenance calls can be overwhelming, especially for first-time landlords. Luckily, there’s a better way to rent out your vacant home or apartment. Real Property Management is here to simplify your rental property needs. We take care of everything while you sit back and earn a profit. If you’re considering renting out your home, learn about the benefits of rental home management in NW Indiana. If you think that using a rental property management company will eat away at your profits, you don’t quite have the whole story. The professionals at Real Property Management understand how to make the most out of your investment. Our team will help you avoid costly eviction notices, lengthy vacancies, and time-consuming responsibilities. Remember that time is money. Managing your own rental property will take up hours of your personal time as a landlord’s work is never done. As a leader in rental home management in NW Indiana, Real Property Management is worth the price every time. There are so many nuances to managing a rental property. You need to be able to choose the right tenant at the right price. We will help you add thousands to your current earnings by making sure that your home or apartment is generating as much revenue as possible. Our team goes above and beyond for our clients by keeping them informed every step of the way. We’ll keep all of your important documents and records neat and organized throughout the entire renting process. Rental home management has never been easier with the professionals at Real Property Management Northwest Indiana. With 25 years of experience, we’ve made a name for ourselves as one of the best rental property management firms in the state. Make sure that your rental property is in good hands and contact a member of the team today to get started! 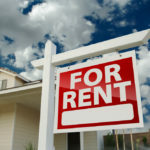 For more information on rental property management in NW Indiana contact us today!